﻿The city of Metropolis, located on the southern tip of Illinois was given the name in 1882. It is the only city in America that shares the name with the fictional city Superman protects in the comic-books, tv shows and movies. While Superman's Metropolis was bold and futuristic the real city of Metropolis mirrors Smallville, the city where Clark Kent grew up and eventually became the legendary hero of tomorrow. 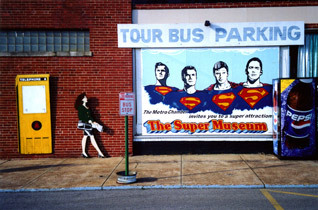 The small town became famous when it gained an association with America's first and greatest comic book superhero, Superman. On January 21, 1972 DC Comics declared Metropolis the "Hometown of Superman". 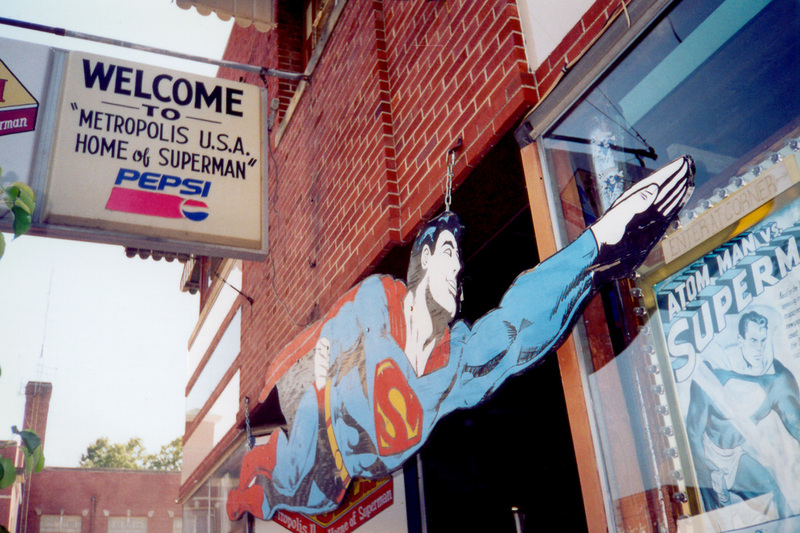 On June 9, 1972 the Illinois State Legislature passed Resolution 572 that declared Metropolis the "Hometown of Superman. The first Superman was Celebration took place on June 4th 1975 in Washington Park. 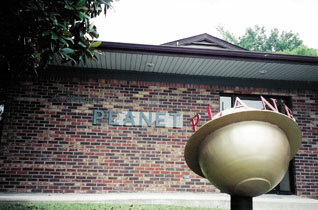 Charles Chandler, a local pasture portrayed Superman. Charles wore an original George Reeves Superman suit. He went on to appear on the Television game show, Truth or Squares. 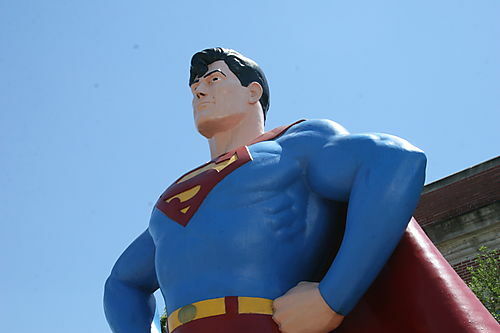 ﻿The annual Superman Celebration takes place the first weekend of June. Thousands attend each year to celebrate the world's greatest Superhero. The festival is jam packed with live entertainment, Superman celebrities, carnival rides, contests and more. Pose with Lois Lane as she waits for Superman. A Super Van based on the famous Corgi toy. The Metropolis Planet churns out all the action.